Well this proves that their environmental protections have absolutely nothing to do with protecting the environment. I guess we’re going to find out just who owns this country about 90 days after October 10th. The fact if them announcing that they’re taking this land “without consent from the Nevada State legislatures or the people of Southern Nevada” is a way of saying “we (the feds) own this country, and we dare you to think otherwise”. Last time I checked best way to deal with predatory vamints was eradication. There is absolutely NO reason for the regime to be Confiscating land. This is all out Tyranny ! into fruition, need to be dealt with, severely. The war is coming closer each day. I can hear the rapport even now. Sadly, it should have started long ago. Don’t state’s counties have the final legal say against Federal BS like this? Will the state’s counties just lay down and take this crap? Answer: Probably, unless the sheriff has balls. I can’t wait to see if they try this thuggery in the Big Bend area! 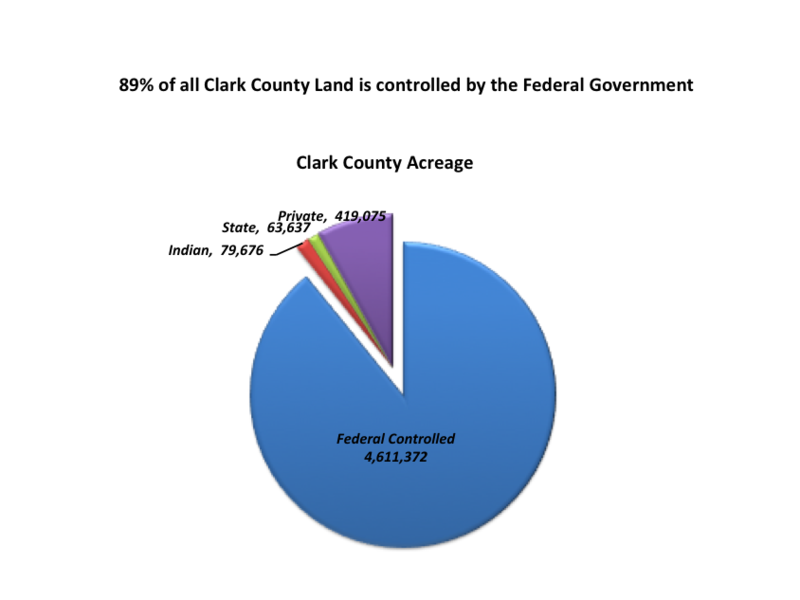 Decades b4 I moved to Nevada I had read where about 96% of the land was federal land in Nevada. Can’t see Sandoval getting uppity with the Gov over this. If Nevada had their land, oof of it and used it for self suficiency it would be one of the wealthiest states on the nation. Minerals & geothermal are merely two of the resources w/in Nevada’s boundries. This is why I’ll be moving to Esmeralda county next year, if we make it that long. The land in this country belongs to the people of this nation, not a group of vile politicians. I’m am once again perplexed by the nature of people’s reaction to all of this (???). Americans would say,.. “Oh,… ok,… I get it,…. time to stand-up,.. fight,… and get rid of this, “Enemy-Force-In-Occupation”! Good comments,… but it demostrates the fundamental problem this whole country is facing, which is: THE AMERICAN PEOPLE HAVE STILL NOT COME TO TERMS WITH ONE SIMPLE FACT – THIS IS A CONQUERED AND OCCUPIED NATION,.. PERIOD,… BAR NONE! Until people are willing to pony up to this simple truth,.. they will NEVER be willing to acknowledge,… or engage in what MUST be the next step to rid ourselves of this International/Monetary/Zionist-Jew controlled oligarch,..and its henchmen,… masqurading as a gov’t (… the US Fed Gov’t to be percise),.. enscounced,… and IN FULL CONTROL of Washington DC. JD – US Marines – “Waking Up”,.. MEANS! – Acknowledging this Criminal Cartel, headquarted in Washington DC,.. IS ABSOLUTELY,.. nothing more than an Enemy-Force-In-Occupation,… and as such,.. CAN ONLY be discharged from their perch by direct confrontation,… as pyscho-Jew-commies NEVER leave willingly. Here we go again! Harry Reid said they would be back. One thing is for certain: this situation is going to be resolved in a way totally unexpected by the BLM. If Bundy Ranch turns into another Waco or Ruby Ridge it will precipitate the next American Revolution. If any of the government agents reading this are Patriots do something before Harry Reid starts a fire in the deserts of Nevada that no one will be able to extinguish. So does this mean that we are going to see a Bundy Ranch part II by January? And does this mean the militia are going to do come back again? Not sure what they are doing down at the border as of late.